I'm not sure if its Star Trek 12 or Star Trek 2, but the release date is June 29, 2012. UPDATE: Paramount has confirmed to MTV that the projected release date for the "Star Trek" sequel is indeed June 29, 2012. This counts as news, but there's not much to it. We all know there's a "Star Trek" sequel coming. Hell, Alex Kurtzman and Roberto Orci, writers/producers of the May reboot, were talking about sequel possibilities as far back as the week after the first movie came out. Now we have a date to pin our hopes to: June 29, 2012. Nothing else is known or announced, so don't ask. Maybe director J.J. Abrams will return to helm the sequel, maybe he won't. Maybe Khan will be the villain, maybe not. For all we know, the plan is to give us an epic "Star Trek Meets Star Wars" crossover. Could happen, right? The news comes from a variety of sources, including Ain't It Cool News and Box Office Mojo, but there's no Paramount-issued press release that I can find. The information ran through some trustworthy sources, but we've yet to receive comment from the studio directly. Regardless, there really hasn't ever been any doubt that we'd be seeing more "Star Trek." Abrams' take on the series made it friendly to an entirely new, much wider audience than its ever known before. Were you anything less than certain that a "Star Trek" sequel was coming eventually? Where would you like the story to go from where it is now? Any specific hopes for the sequel? 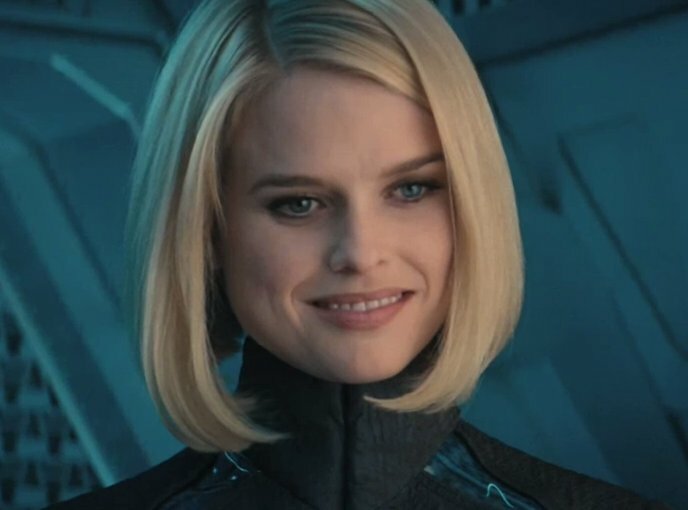 I would be shocked if Alice Eve was not playing this character. Which pretty much confirms Gary Mitchell. Oh my gosh – its David Marcus back from the dead Genesis planet! Fighting with dad to save the cosmos. Revenge on the klingons. Strength of Khan that died in the genesis device explosion. Original movie Enterprise crashes in SF Bay – it too is somehow reconstituted. This is what you wanted DAD! Your son to gallop around the cosmos with you! Now some are saying that its Dr. Soran from Generations. The guy who killed Kirk. They're probably only saying that because of the coat. Ok if you have seen the Japanese full version of the trailer there is a little bit afterward that is interesting but would piss me off. You have no idea what that is. Oh, I know I have no clue. It just gave me that flashback vibe to the movie I mentioned. I am just hoping they don't go that route again is all. Well, the hand thing does seem to imply "Khan".....But it could just be JJ screwing with us. Good call as well. But you never know. The officially sanctioned comic is about Gary Mitchell, too, FYI. I'm pretty sure the movie is about Gary Mitchell returning from the dead to terrorize the Federation. So the story is that Nero wasn't the only thing to come through the tear in time/space, that other persons/things could have just randomly popped up at various locations through the quadrant? And they sure as hell make it look like Spock dies in this one. Not buying it for a second, for that would just be way too predictable. The official comic isn't about Mitchell. My mistake. And FYI, there is a Gary Mitchell in both timelines...so the movie could still be about Gary Mitchell.